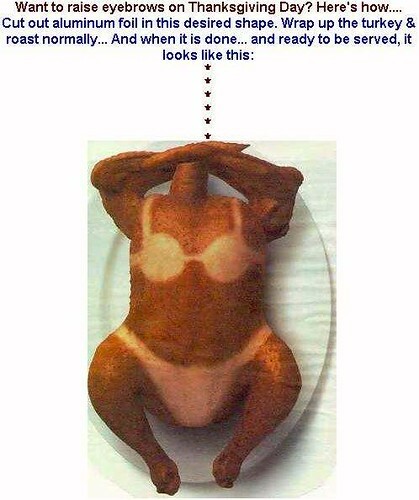 ...remember to fry your turkey! i am worthless and the world knows it. add to my troubles an ongoing hemorrhoid problem of the external variety that recently flared up due to uncontrollable explosive diarrhea worthy of the Indian subcontinent. i wish i were joking about the 'rhoids but i'm as serious as a Weimar Republic comedian. i take comfort when webmd states "about 50% of people older than 50 have had hemorrhoids at some time in their life." in other words, if you're in a room with 2 people over the age of 50, one of those sleezeballs have the 'rrhoids and you should ridicule them mercilessly. ...but i've now found something worth extending my life for - at least until mid-summer. view the incredible trailers and i'm sure you too will postpone your suicide plans or hemorrhoid surgery for just after the 4th of July holiday weekend. unless you live under a rock or your mountain hovel is located inconveniently far from electricity (or you don't get HBO b/c it costs too much and they only show Woody Allen movies during the day), then you're probably familiar with the greatest television show known to man. if you even begin to utter 'Sopranos', i'll, as one Jordanian guy once threatened me, "kick your lower intestine, enshallah!" thanks be to god, the good peoples at MSN are streaming the first season of Arrested Development. so stop watching old reruns of Gilmore Girls and ready that DIY stitching kit you bought at REI the last (and only) time you went car-camping, because you're gonna bust a gut laughing. G.O.B. 's chipped tooth bit gets me every time. now to find an internet connection in indonesia fast enough to stream this show and download the latest snuff pr0n, enshallah! anyone who knows me, knows that i love to stuff a turkey here and there. i sometimes stuff turkeys on Thanksgiving Day also. forget turkeys, i'll stuff pretty much anything i can get my hands on... whatever action i can get these days, i'll take. much like watching an NFL game on thanksgiving, in a sort of tradition i've kept on and off through the past thanksgivings, i submit to you, the infamous turkey tan picture. oh, how it makes me laugh. if any of you fruitcakes out there find a bug, give me a jingle so i can fix that shizzle. Redesign, soon, i swear it! in the meantime, shove off or stare at some of my pictures here or here, then shove off.